System Simulation is well established as a leading supplier of software to the cultural heritage sector; our first museum project was for London Transport Museum in 1986 and they're still key clients of ours today. 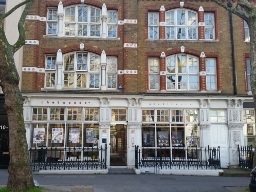 Other long term relationships include ongoing work with the V&A, British Museum and more recent projects with the Royal Academy and the Courtauld Institute. Our bigger institutions often have interesting and complex requirements which typically involve the management of multiple assets (in many forms) across departments and across older systems. More and more museums and galleries are looking to build a more unified data landscape to achieve coherence, economies of scale and sustainability. Our products build together to give museums a linked, relational world within which to curate, collect and exhibit. 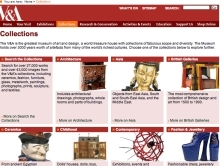 The CollectionsIndex+ integrated suite of products allows museum, library and archive professionals to focus on this curating, collecting and exhibiting by taking care of the management of their collections and digital assets reliably and intuitively. We are a Spectrum Partner and MuseumIndex+ is Spectrum Compliant. 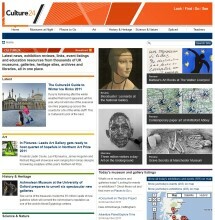 MuseumIndex+ is part of a new generation of systems for managing the collections of museums and galleries. It builds on over 30 years of experience delivering collection management system to a wide range of clients including the V&A and British Museum. It is SPECTRUM compliant, with enhanced support for management processes and meeting Accreditation criteria. 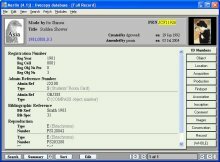 System Simulation's integrated suite of products covering the management of books, archives, museum objects, digital images, digital assets and website content. SSL's work with the Royal Academy resulted in a fully integrated website pulling in information from many sources within the institution: the collection management system; the library system; the book system; the archive database and also records carrying information about individual Royal Academicians. Through collaboration with the staff at the museum, we delivered creative design and robust implementation for the new interpretation kiosks and the new website. Each of the 30 kiosks spread throughout the gallery tells the unique story of around 10 objects in the immediate vicinity, using pictures, oral histories and video. In 2002 the British Museum went live with Merlin, the biggest collections management system in the world to date. Based on MuseumIndex+ we implemented and configured Merlin to the museum's specification, including a Unicode facility to catalogue and search using historical and non-European scripts. Merlin will support the museum's requirements well into the future. 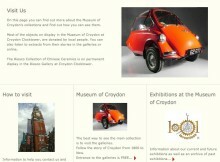 Merlin enables the museum to make its collections accessible for secure scholarly and public access. We have supplied software to the V&A over a number of years including its core collections management system and integrated image library allowing web access to its collections. Recently, we supplied our AssetIndex+ to achieve much greater integration and allow the V&A to feed its assets into a range of more specialised applications. The cultural sector has tremendous potential as a dynamic element in the emerging creative economy, in terms of the resources that it holds, the services that it provides and the knowledge and skills of its staff. Digital technology is continuously enhancing this potential. System Simulation is probably unique in being able to offer an in-depth knowledge of the technology and its creative application, together with the experience of its senior staff and associates in enterprise promotion and economic development. The cultural heritage sector has a long tradition of sophisticated cataloguing, including the use of elaborate terminology systems. New requirements and applications are emerging, however, not least in providing access to and exploiting images and other digital assets. With its knowledge both of collections systems and of the management of digital assets, System Simulation is well placed to offer advice and analysis in the effective use of terminology systems.